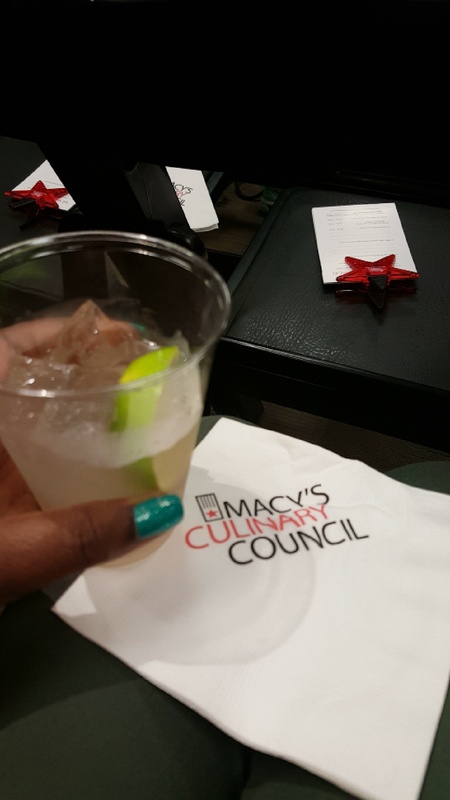 Any time we can get cooking tips, sample delicious food and drinks aaannnnd interview an award-wining chef, we consider it a great day! 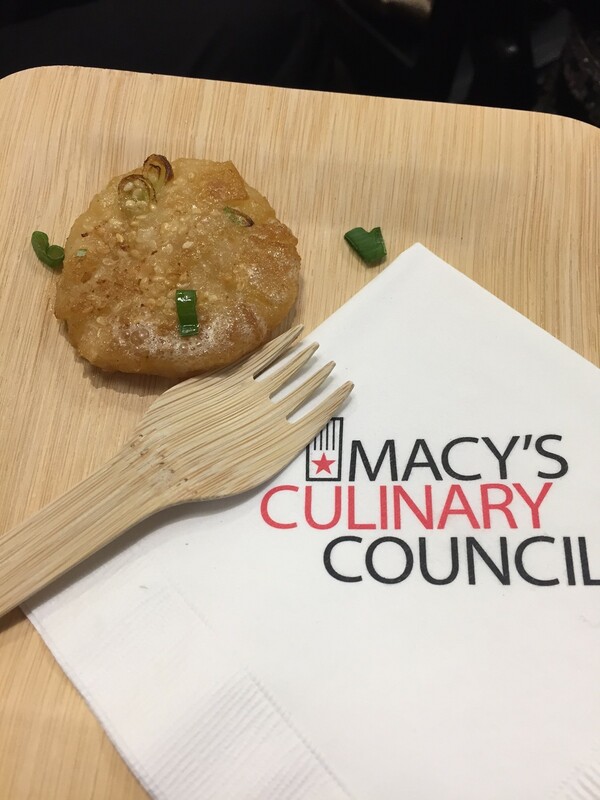 2 Girls Who Travel were lucky enough to do all of the above at a holiday cooking demonstration featuring Macy’s Culinary Council’s own Chef Ming Tsai! 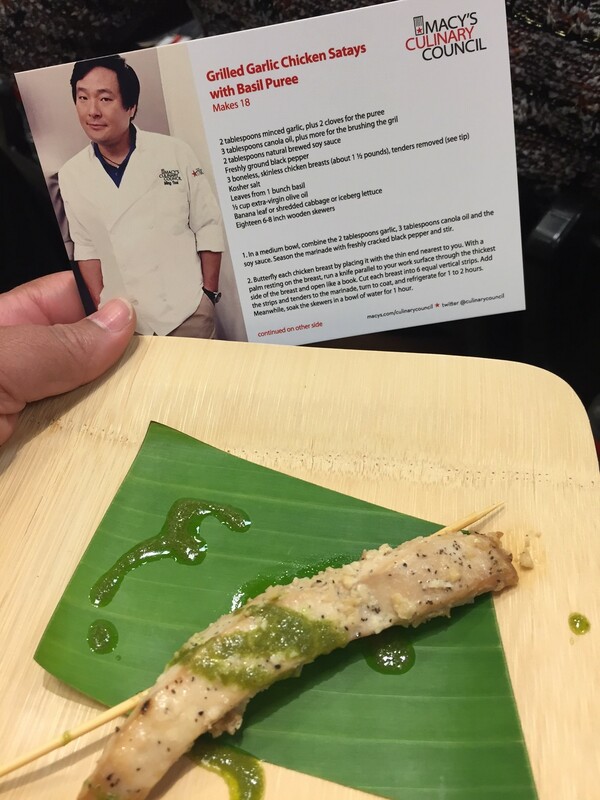 We were able to chat with and interview Ming Tsai before his cooking demo started. He is a real character! He wasted no time in voicing his displeasure with us for visiting Boston and not stopping by one of his restaurants, Blue Dragon and Blue Ginger. Of course he was joking with us, but we had to admit, it was definitely our bad …. soooo, don’t be surprised if our next trip to Boston, we pop up on you Chef Ming – you’ve been warned! Check out our full interview where Chef Ming dishes to Kim about everything from how he got started in the restaurant business to what his favorite dish to prepare is! 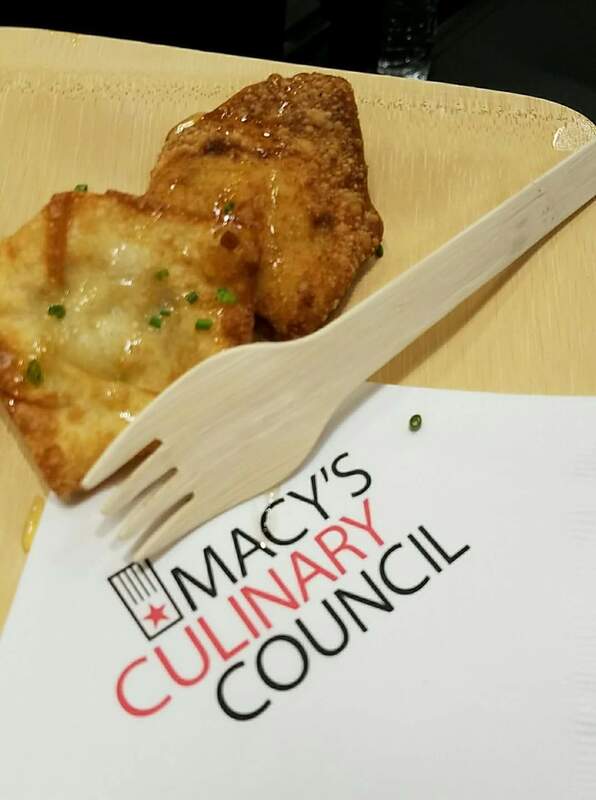 The cooking demonstration inside Macy’s in Houston’s Galleria had every seat filled as Chef Ming walked us through how to prepare some of his favorite holiday dishes. We were greeted with the sparkling pomegranate cooler made with fresh ginger, ginger syrup, sugar and water. It was superb and the best part – by adding vodka it automatically becomes a holiday adult beverage. Chef Ming went on to prepare honey crab wontons, grilled chicken satays with basil puree, smashed shumai and almond oatmeal cookies. He actively engaged with the crowd and answered every single audience question. He also shared helpful tips for all of us home chefs, such as always buy fresh seasonings and grate them yourselves as well as the proper way to use a knife – hint: only two fingers do the work! After the cooking demonstration, Chef Ming signed copies of his cookbook Simply Ming in Your Kitchen: 80 Recipes to Watch, Learn, Cook & Enjoy and chatted some more with guests. 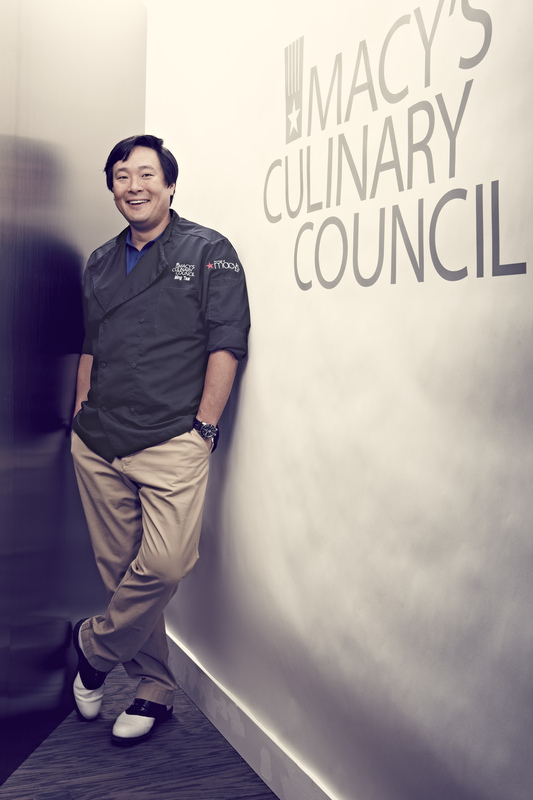 When Chef Ming’s not busy putting on cooking demonstrations, hosting his television show Simply Ming, running his restaurants and authoring cookbooks, he’s extremely active in his charity Family Reach – the only national charity that financially supports families who have a child with cancer. He’s raised $5 million over the last six years for the charity. He not only inspired us to get in the kitchen, but also to be philanthropic and passionate about the things we care about. Check out this last special clip in which Chef Ming tells us his most swoon-worthy dish he’s had while traveling the world! Thank you! We used our good old cell phone. It’s an Android. And luckily, the room was set up media-friendly. It was a closed-in space with no outside noise and the banner in the background. Hey hey good note about that Android! Thanks ladies.